You are bidding on a game-used baseball Manny Pina hit for a single while facing Noah Syndergaard in the 2nd inning during the game on May 25, 2018 between the New York Mets and Milwaukee Brewers. The same baseball was used one pitch prior to Pina's single; Syndergaard induced a ground ball double-play while facing Jonathan Villar. 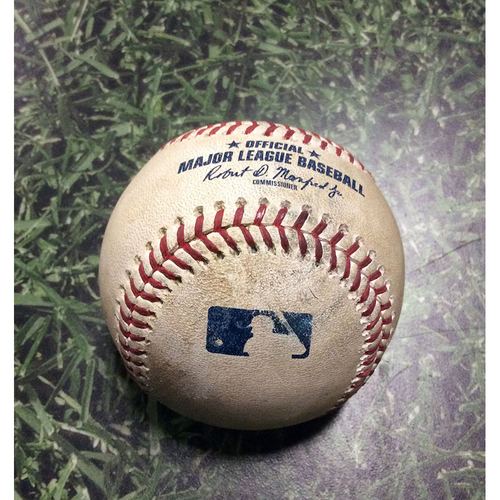 The baseball is authenticated with a MLB hologram sticker.